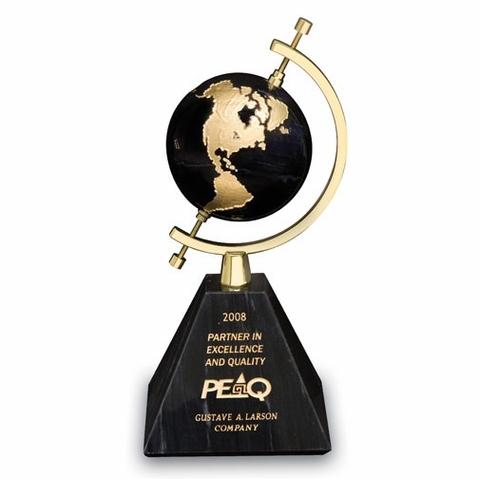 Presenting a magnificent global award for achievement that ends your search for the exceptional. This hallmark of design combines the beauty and permanence of genuine black marble with the artistic glow of brass. A most aesthetic mixture of shapes and media that is commensurate to those individuals who have traversed the world in search of new horizons. Presentation / Gift box included.